On August 19, 2017, an open-water net pen full of Atlantic salmon near Cypress Island collapsed, releasing over 250,000 non-native fish into northern Puget Sound. Fifty-seven thousand of the escapees were caught during an unprecedented effort on the part of local fishers, but between 186,000 and 206,000 remain unaccounted for, save for one that was recently caught 40 miles up the Skagit River. With the net pen’s failure, and amid a series of evolving explanations for that failure from its operator, Canadian-based Cooke Aquaculture, the local fishing community worried. Would escaped Atlantic salmon establish and further imperil Puget Sound’s already imperiled wild salmon runs? And why were people farming a potentially invasive species here in the first place? Issue resolved, right? Well, perhaps not quite. For while the potential for Atlantic salmon to establish in Puget Sound was much discussed, there is another, lurking issue that hasn’t received as much attention in the U.S., but one that could be much trickier to solve: the transmission of parasites and disease between farmed salmon just across the border in Canada and local wild stocks. As a family, Pacific salmon are not known for their healthy respect of borders. The first border they most famously flout is the one between freshwater and salt, when they transition between the creeks and streams of their hatching to the Pacific Ocean, where they spend most of the rest of their adult lives. But another to which they pay little attention, although one that figures significantly in their management, is the border between the United States and Canada, and more precisely the little crooked line that runs through the marine waters of the Salish Sea between Washington, Vancouver Island, and mainland British Columbia. It is a sunny afternoon in early April, not that anyone here would know, sitting as they are in a windowless conference room at the Washington State Convention Center in Seattle. They are here for the 2018 Salish Sea Ecosystem Conference, and this session in particular: “The Impacts of Open Net Pen Farming on Wild Salmon.” The session is focused on net pen aquaculture in Canadian waters, where the practice is common, but it is clear that possible impacts on wild salmon may not be limited to that geography, if they ever were. But almost since the first days, there has been tension between industry advocates and wild salmon advocates over the potentially harmful effects of net pens on wild salmon populations. Over the years, net pens have been the subject of numerous complaints, from their use of antibiotics and pesticides that contaminate the water, to the fish waste that farming operations produces, to the folly of harvesting wild forage fish to feed farmed fish. One of the most enduring problems, though, has been infestations of sea lice in the farms, and their spread to wild fish populations. 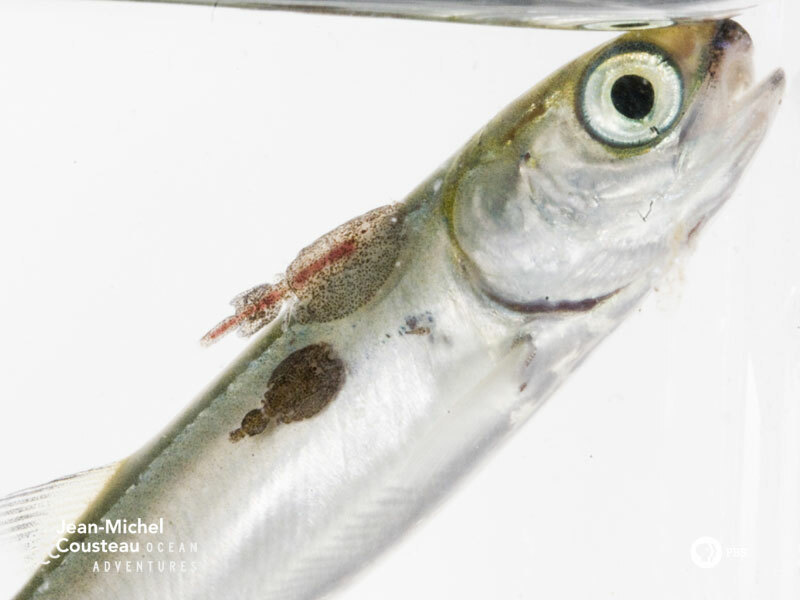 Sea lice are parasitic copepods that attach to salmon and feed on their tissues. This not only stresses the fish, but also makes them vulnerable to secondary bacterial or viral infections, and can even kill them. The particular sea louse that infects salmon in the Salish sea, Lepeophtheirus salmonis, is endemic to the region, but only rarely plagued juvenile wild salmon prior to the arrival of salmon farms. Now, in some places, infestation rates from L. salmonis are alarmingly high. Scientists blame sea lice for sharp declines in pink salmon populations throughout the Broughton Archipelago. In Clayoquot Sound, too, a recent study found that juvenile chum salmon escapement was declining despite the habitat otherwise being of such optimal quality that it is part of a UNESCO Biosphere Reserve. But when biologists took a closer look, they found that the more salmon farms the finger-sized smolts had to pass on the way from their natal watersheds to the Sound, the greater their sea lice infestation risk. The salmon farms, often as many as six per inlet, acted as reservoirs for the parasites. In some instances, by the time a group of juvenile chum reached Clayoquot Sound, 20% on average, and as many as 80% at times, were infested with sea lice; and having as few as two sea lice attached could be fatal. “The farms have not gotten sea lice under control anywhere,” says Alexandra Morton, an independent biologist and activist who has worked out of Echo Bay in British Columbia for the past 26 years. “They’ve been trying for eighteen years, and now there’s an 80% infection rate. It continues to be a huge problem.” The Canadian government, too, recognizes that sea lice is a big issue for salmon farms, pointing to a need for more scientific studies to improve sea lice management. But the problem may go much deeper. Recently, a team from the University of Toronto has started to take a step back from sea lice, to look at infectious microorganisms more broadly throughout BC waters—everything from bacteria to viruses to eukaryotic pathogens. The question is, if salmon farms act as reservoirs for sea lice, and lead to a consequent spike in infestation rates, could they not also act as reservoirs for other pathogens? This has been a fear for wild salmon biologists for some time. 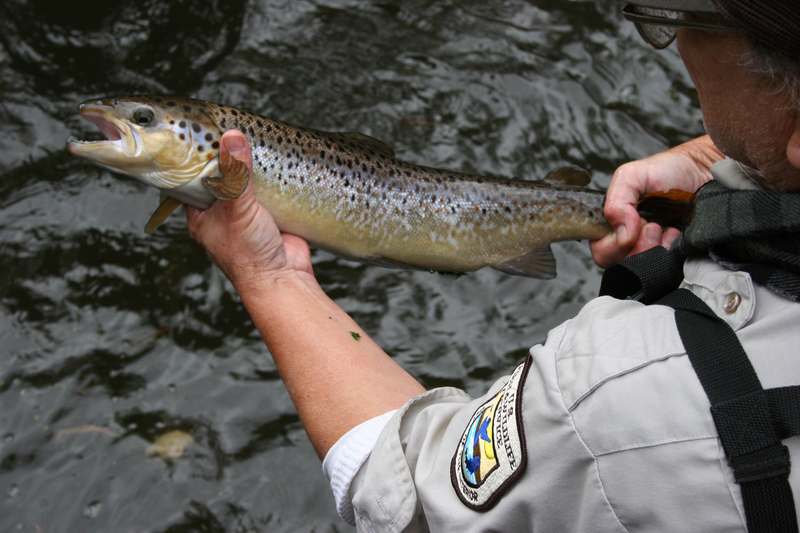 As many as 70% of farmed Atlantic salmon are infected with a type of reovirus. The virus does not appear to inflict dire harm on the Atlantic salmon, but a recent study showed that a strain of the reovirus also infects farmed Chinook salmon, and it had different, more deleterious consequences. If it can infect farmed Chinook, could it not also spread to wild Chinook? Where sea lice are visible, an infection often is not. To find pathogens is to wade into their vagaries. “One of the big problems is just to track the spread of a disease,” says Martin Krkošek, a professor at the University of Toronto who studied sea lice infestations due to farmed salmon for over a decade before turning his attention to disease. “If a salmon acquires infections in a location, by the time the infection translates to detectable pathology, which can take weeks or months or even years, that salmon is long gone,” he says. Conversely, even if scientists are actually able to pick up signals of a pathogen, it can be really hard to localize where the infection was acquired. Dylan Shea, one of Krkošek’s graduate students, recently took ten-liter water samples from a number of sites and tested them for 30 viral, bacterial, eukaryotic pathogens known to be disease-causing agents for salmon, and a worrisome picture emerged: infection risk for wild salmon was several times higher in habitats with fish farms than habitats without them. Eric Wagner is a freelance writer based in Seattle. He writes mostly about science and the environment, and his work has appeared in Orion, High Country News, Audubon, Smithsonian, and Slate, among other places. He has a Ph.D. in Biology from the University of Washington for work he did on penguin behavior at the world's largest colony of Magellanic penguins, in Punta Tombo, Argentina. NPR: Why Are Atlantic Salmon Being Farmed In The Northwest?